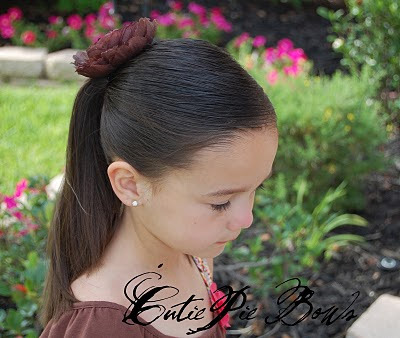 Here are some of our favorite summer bows! Flowers by themselves, with headbands, with crochet hats, on tutus -- you name it, I love it! I'm thinking about clipping them on the sleeve of tank tops too! Cannot get enough of them! 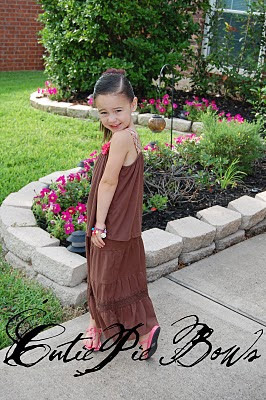 I love them with almost every summer outfit we have -- specifically the long ankle length skirts Gymboree has out now!! I just ordered 3 more today! They have a new floral print, white and light blue (my fav color) long skirt and I had to have them all! SIDE NOTE: Gymboree has a 30% off sale going on right now and I used a 20% off coupon too (thanks Christine!!!!) so I got the skirts for a STEAL!! I'm also obsessed with the new ponytail hairstyle - a side part in a low ponytail - so fun and cute with flowers! We have lots of new flower colors and styles! Go to http://www.cutiepiebows.com/ to see! !